Travelling to the Riverland is easy. Driving from Adelaide to the Riverland takes 90 minutes to our gateway town, Blanchetown, or if you are travelling from Sydney or Melbourne, it is only 90 minutes from Mildura to Renmark. 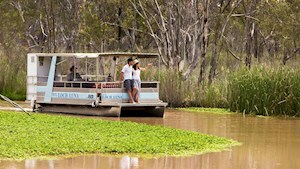 Once you are in the Riverland stay and play, explore and relax and enjoy Rivertime. Click here for all the information you need to plan your journey to the Riverland. Be sure to drive on the left side of the road in Australia. 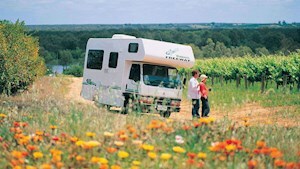 For your safety and enjoyment slow down, relax, and enjoy the country pace of the Riverland.